Isn’t war about politics? And isn’t politics about money? There were several developments in this episode, and the one that stood out to me the most was the fact that this is the first episode to move past the setup stage of the show and move into solid plot development. Right from the opening, this episode dealt heavily on the idea of political warfare between the opposing Maroni and Falcone gangs. High points of this episode include the Penguin’s increasing level of manipulation, Fish Mooney’s “job interviews”, and Arkham Asylum. When you hit bottom, the only place to go is up. The Penguin is moving on up. Gotham picks up where last week’s episode left off with Penguin showing up at Jim Gordon’s doorstep. 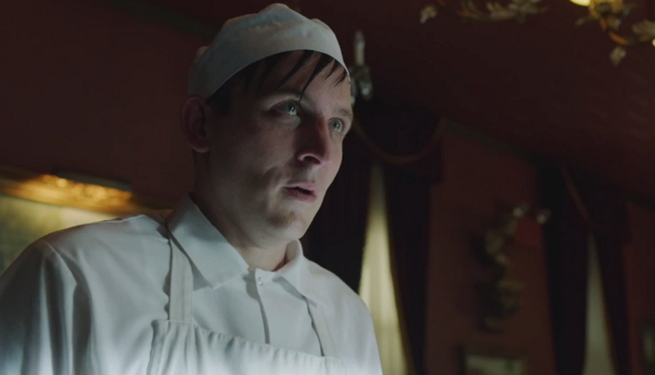 Robin Lord Taylor continues to impress with his performance of the estranged Cobblepot/Penguin. His deceivingly innocent protrayal of this character does an excelent job at masking the truly sinister person underneath. Gordon, of course, is not pleased at Cobblepot’s return to Gotham. Cobblepot seems to be working both the gangs and Gordon probably so he ends up on top of the rubble once the dust of “the war” settles. One of the unavoidable issues with a show on Gotham City, particularly its police department, is that it has to be drowning in corruption. The police department is depicted this way to the extent that it almost becomes laughable. 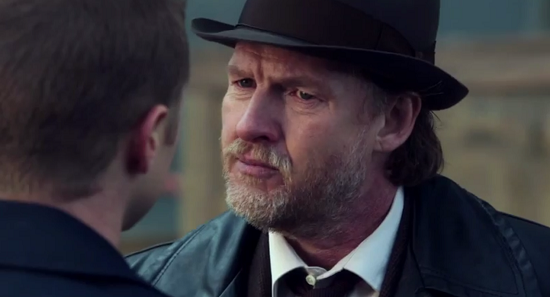 Every scene with Harvey Bullock are perfect examples of this. I laughed at tonight’s interrogation scene because Harvey is just terrible at it. It’s not that he’s a bad cop because he’s corrupt. He’s just not good at being a cop to the point that it amazes me he is still able to work there. But, I can’t really accept these complaints mainly because the whole point of Gotham City is just that: corruption. Political corruption and political warfare played major parts in this episode. The plot consisted of an assassin killing both Falcone’s and Maroni’s councilmen. Whoever hired this assassin wants chaos. It’s most likely Fish Mooney because the chaos will start a gang war between Maroni and Falcone, after which Fish plans to take control. On the other hand, it could be Cobblepot. Towards the end, we find out he was the one who hired the men to shoot up Maroni’s restaurant. This is all part of Cobblepot’s manipulation to get Maroni to like him and move him closer to the top. Perhaps Cobblepot has foreseen this gang war and wishes to make it realized. Fish has plans of her own as well. A couple scenes involved her interviewing two girls for a job which definitely involves seduction. Fish at one point declares, “I’m not looking for a girl. I’m looking for a weapon.” This was later followed up by a familiar scene, tryouts. When Fish told the two girls that she liked both of them but only had one job opening, I and I’m sure many more instantly thought of the Joker’s tryouts scene from The Dark Knight. After a brutal catfight, Fish has found her weapon. A safe bet, I think, is Fish plans to have this girl seduce Falcone and kill him. Once Falcone’s control is stripped away, Fish is convinced she can take over. We shall see. At the risk of sounding like a broken record, I LOVE the settings in this show. 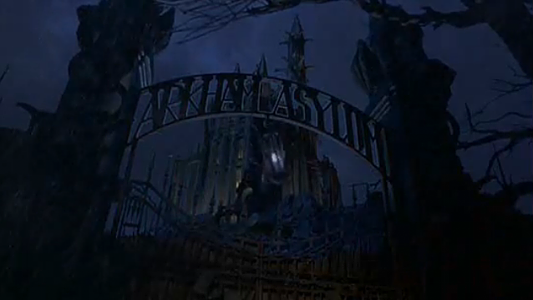 Not only do the creators give justice to the Gothic art style of Gotham City, they give wonderful depictions of the comic book city that it makes me feel like I’m reading a Batman comic. 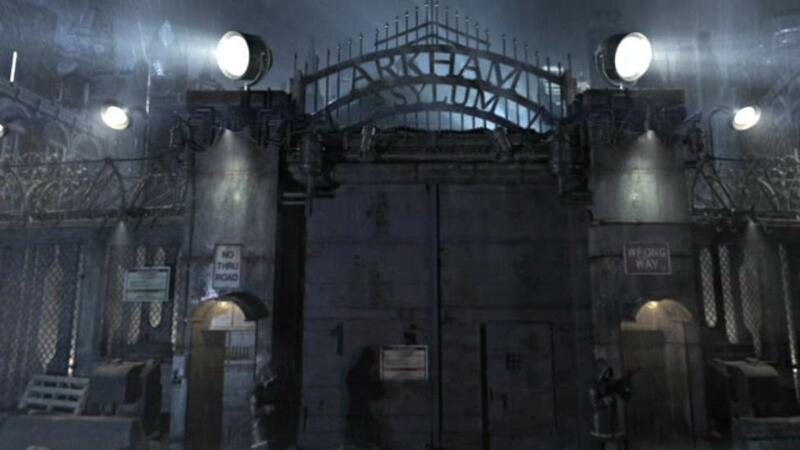 Case and point is Arkham Asylum. This is the first glimpse, and I was so impressed. The gate was so well done that I had to look up pictures to compare. As it turns out, the whole district that contains the asylum at the center is called Arkham City on the mayor’s map. Just as Cobblepot suggested at the beginning of the episode, this inevitable gang war will ultimately be about money, specifically land. 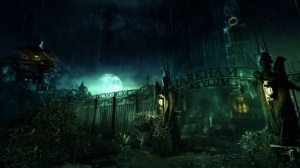 With the mayor’s plans to tear down Arkham City and rebuild a new state of the art asylum according to the Waynes’ plans before their deaths, Falcone and Maroni are wrestling over land. Falcone wants it for small housing development and Maroni wants it for a waste-disposal facility (Ace Waste Disposal Plant??). 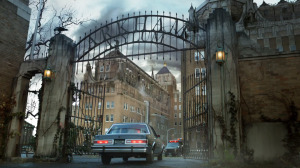 At the end, we discover instead of following through with the Waynes’ plans, the mayor compromises by letting Falcone have half and Maroni have the other half as well as refurbishing Arkham Asylum to meet current standards. This can only mean escalation as the two gangs will surely seek ways to get more land. 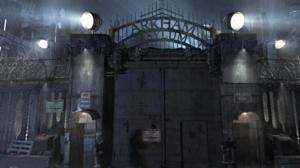 With Arkham Asylum getting refurbished, this means it will need crazies to fill it. 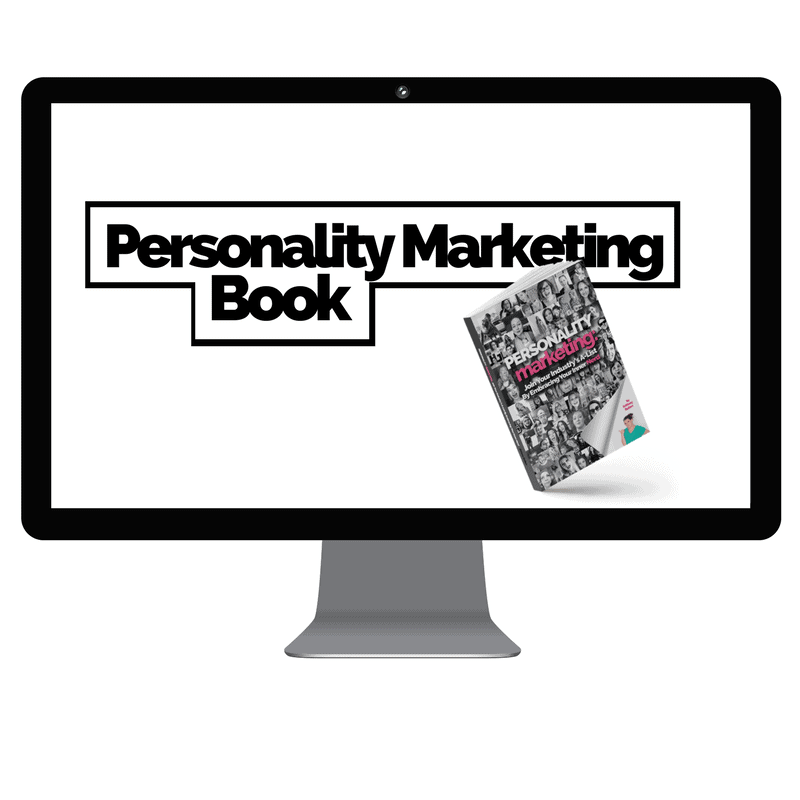 The wheels in the Penguin’s head are turning as he manipulates his way to the top. Also, the Penguin seems to not have learned his lesson the last time he played the snitch. Jim and Barbara have some drama over secrets and Montoya while Bruce, again, reminds us he’s Batman. All in all, this was an excellent episode that continues to immerse the audience in a Gotham City that feels real. As an added trivia bonus, I discovered that Ben McKenzie is the first to play both Jim Gordon and Batman whom he voiced in Batman: Year One.